2016 continued the push towards cord-cutting that Roku helped pioneer. But with more alternatives to cable subscriptions than ever, including Apple TV, Amazon Fire TV, and Google Chromecast, it’s no longer the only rooster in the henhouse. Its response: a diverse new line of products that range from the high-end Roku Ultra, the mainstream Roku Premiere and Roku Streaming Stick, and lastly the minimal Roku Express. Though the selection can be confusing, Roku is trying to make a streamer for everyone’s needs. Now, before we go any further, it’s worth noting that I’m a member of TNW’s social team, and I’ve not used every streamer out there. But I do come from the perspective of a consumer who wants to watch as much TV as possible for the least amount of money and hassle – exactly the market Roku wants to address. Roku’s OS isn’t the prettiest, but it’s possibly the easiest to use. As my colleague writes here in his review of the Ultra, it allows for a seamless experience covering more providers. The setup is easy, if a little long, and much of it can be done through your computer. You get a huge variety of TV channels, and its closest competitor, Apple TV, is in another league price-wise. In addition to offering all standard online streaming apps such as Hulu, Netflix, Amazon Instant Video and YouTube, Roku’s extensive “TV Everywhere” channel selection helps put it over the top. For example, the Time Warner Cable app; having my cable carrier’s app on my streamer made it really easy to watch live tv when I wasn’t in the mood to binge watch. It also allowed my Roku to essentially become a cable box for our second TV without any monthly fees and annoying hardware. Which brings me to my next point. 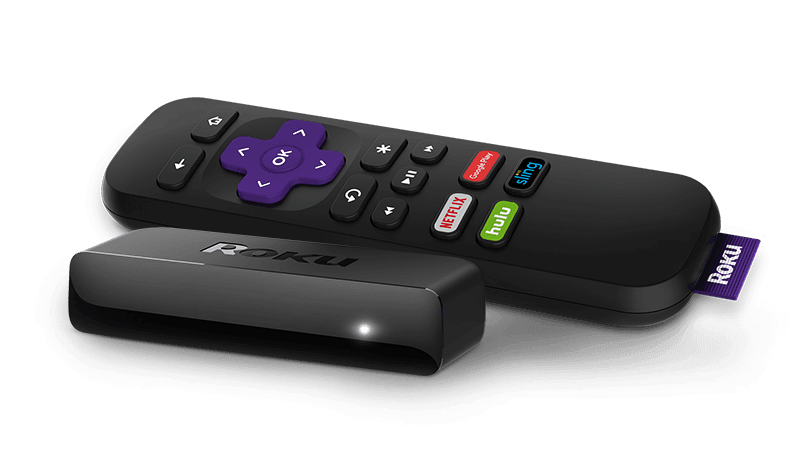 The Roku Express is the smallest and cheapest of Roku’s extensive line up. This comes with some sacrifices (you can compare the specs here) but its simplicity is also welcome; it’s about the size of a match box, has no buttons and sticks to any surface (literally, like, with a sticker). It connects to your TV via an HDMI cable, and can be plugged into an outlet or through a USB jack. You can literally stick it onto your TV, connect it with two short cables and be done. As someone sharing 1000 sq feet with two kids under four, I love anything they can’t yank, turn off or stick their fingers into. Roku was directly addressing the Google Chromecast when conjuring the Express. The Chromecast is similarly small, but doesn’t come with a remote. Price-wise, the Roku Express is five dollars less expensive by default, and arguably offers more bang for your buck. Sure, the Chromecast lets you stream from your browser, and the Roku doesn’t (with a few exceptions, mainly YouTube and Netflix), but it’s not a great user experience. Personally, I find an HDMI cable easier and more reliable. But hands down, what puts Roku over Chromecast for me is the remote. For a non-techie, traditional TV lover, it feels much more natural than being forced to pull up a phone app or your computer (though Roku still has an app you can use for features like private listening). It feels so much like a regular cable remote, that you’ll keep on trying to turn up the volume with it – something which you unfortunately aren’t able to do, and which Roku might want to consider adding to its future products. So as the holidays approach, think of the Roku Express. It might not impress the geeky cable-anarchist millennial on your gifting list, but I guarantee your not-quite-ready-to-cut-the-cord-but-loves-Netflix mom or your hates-the-cable-companies-but-loves-cable-news dad will think it’s the perfect gift. You can purchase the Roku Express from Roku.com, or a variety of other retailers.